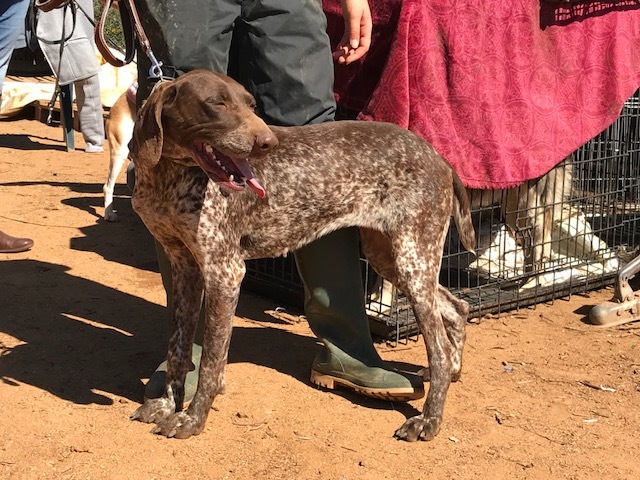 A beautiful German short haired Pointer who was born around 2016. When she arrived at the shelter in Dec 2017, she was very emaciated and in very poor condition. She has obviously received lots of care and is now looking for a home. She has a wonderful temperament and loves to play ball.